Our first annual Holiday Food Cookoff was a stuff-your-face success. Not only did we fill up on heaping platefuls of festive goodness (and then attempt to function the rest of the day under the lingering effects of food comas). We also voted on standout recipes in three categories, though only one took home the coveted grand prize. Take a look at our winners, and add these scrumdiddlyumptious recipes to your holiday lineup. Make cake batter according to package directions using pineapple juice reserved from crushed pineapple in place of water. Pour into two greased 9x13 pans or one greased 18x12 jelly roll pan. Bake at 350°F for 15 minutes or until toothpick inserted near the center comes out clean. Let cool completely. In a large mixing bowl combine the pudding mixes, milk, and coconut extract; beat for two minutes. Add softened cream cheese and beat well to smooth out all the bumps, and then gently stir in pineapple with a spoon. Spread pudding mixture over cooled cake. Mix together whipping cream, powdered sugar, and vanilla until thick. Spread this over the pudding layer. To toast the coconut, spread it on a cookie sheet and bake at 325°F for five to 10 minutes until barely browned. 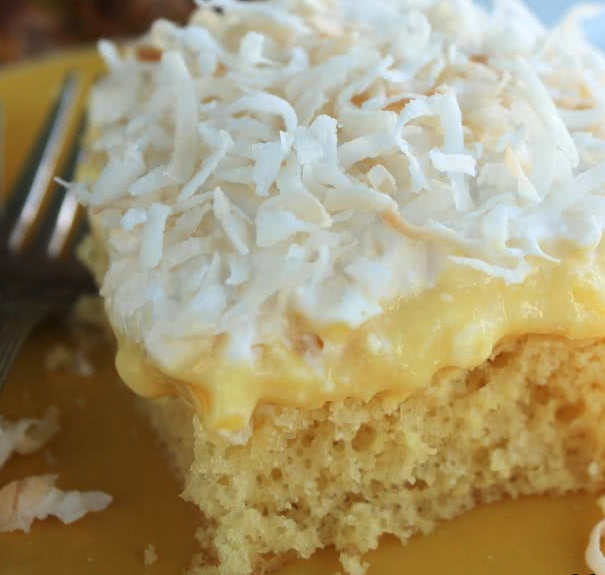 Sprinkle cooled coconut over the top of the cake. Chill cake for about two hours or until ready to serve. Heat oven to 400°F. In a large bowl, mix filling ingredients (cherry pie filling, whole cranberry sauce, cornstarch, and cinnamon). Spoon into crust-lined, nine-inch pie pan. Top with second crust; seal edges. Cut slits or festive shapes in several places in the top crust. Bake 40 to 50 minutes or until the crust is golden brown. Remove pie from oven. Immediately in a small bowl, mix powdered sugar, corn syrup, and enough water until smooth. Drizzle over hot pie. Cool at least one hour before serving. Preheat oven to 350°F. In a large bowl, combine onion, celery, green pepper, cheese, corn, green beans, soup, and sour cream. 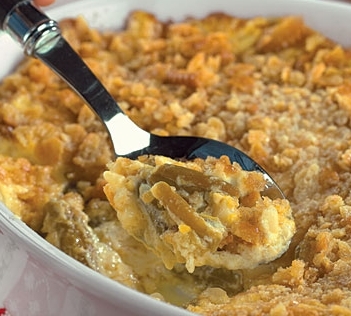 Spoon into a two-quart casserole dish. Combine crushed Ritz crackers with melted butter and sprinkle on top of vegetables. Preheat oven to 350°F. Mix all ingredients. Place in an oven-safe dish (a pie dish or 8x8 pan will work) and bake in the oven for about 30 minutes. Or place all ingredients in a small crockpot for one hour on high (or three hours on low), stirring periodically. Serve with a sliced baguette, bagel crisps, chips, veggies, etc.